As they were going off, Jesus began to speak to the crowds about John, "What did you go out to the desert to see? A reed swayed by the wind? Then what did you go out to see? Someone dressed in fine clothing? Those who wear fine clothing are in royal palaces. Then why did you go out? To see a prophet? Yes, I tell you, and more than a prophet. This is the one about whom it is written: Behold, I am sending my messenger ahead of you; he will prepare your way before you. Amen, I say to you, among those born of women there has been none greater than John the Baptist; yet the least in the kingdom of heaven is greater than he." If we had to select a heading or a title to the Gospel reading we just heard, we could reasonably title it, "Our Lord's Tribute to John the Baptist." Today we hear our Lord praise the Baptist. He says, "among those born of women, there has been none greater than John the Baptist." Even our liturgical calendar reflects the veneration we owe this great saint. Consider for a moment that in the liturgical calendar, we only celebrate three births: Christmas; the Birth of Mary on September 8th - exactly 9 months after we celebrate her Immaculate Conception on December; and the Birth of John the Baptist on June 24th, six months before Christmas. Christ calls his second cousin the greatest man born of woman because John the Baptist is truly humble. As appealing as John the Baptist was to his hearers, he always identified himself as nothing more than a messenger. This humility deserves our consideration. After awhile, John the Baptist attracted his own followers. In fact, some of the Lord's apostles, including John, James and Andrew, were originally disciples of John the Baptist. The Baptist never intended to attract people to himself. He lived to prepare for the coming of the Lord. Moreover, he never received the earthly consolation of having seen Jesus complete his earthly ministry and later rise from the dead and ascend into heaven. He laid his life down in witness to the truth of the person of Jesus, not knowing what his reward would be. When Jesus came to John the Baptist to be baptized, John said, "Behold the Lamb of God," and his followers immediately left him to follow Jesus. There is no trace of jealousy or bitterness on the part of John the Baptist. he does not ask our Lord for praise or any signs of the Lord's gratitude. He merely sowed the seeds of repentance and conversion that Jesus would take up in His own public ministry. This can often be our experience in the work of the apostolate. Our example or zeal for the faith may be a spark that inspires another to return to an active practice of the Catholic faith. We may loose touch with individuals whom we have influenced by our kind words or our encouragement or by our manner of living. It may not be until each of us, God-willing, is in heaven, that we will truly know the impact our lives had on others. For now, each of us should have the same desire as the Baptist to bring souls to Christ and to make Jesus present in the world, taking the Eucharist we receive at Mass and being broken and spent for others. Our Gospel today is so intriguing on two counts. First, we hear that John the Baptist continues to give witness to Jesus while in prison. It's not as if John is arrested and there ends his ministry - he continues to point to the Lamb of God even when he can't be out in the desert proclaiming the word. His zeal for Jesus cannot be contained by prison walls. While in prison, John is able to receive some visitors and he sends them away over to Jesus with a question that we wants his disciples to ask the Lord. He wants them to ask Jesus, "Are you the one who is to come or should we look for another?" This is the second point of intrigue: why the question? Why is John asking his disciples to practically verify the identity of Jesus? Has John totally "lost it?" Has he suddenly forgotten who Jesus is? Has the prison torture been so overwhelming that he asks a seemingly silly question? The answer is simple, "no." John hasn't forgotten who Jesus is. In fact, John is quite aware of who Christ is. After all, John recognized Jesus when Jesus was still in the womb of the Blessed Mother and John was in the womb of St. Elizabeth. So, there is more to this question than meets the eye. Here, we turn to Thomas Villanova, an Augustinian friar and once-bishop of Valencia, Spain. Villanova tells us that John sends his disciples with the question so as to give Jesus an opportunity to speak to the crowds not so much in words but by pointing to His deeds. Christ replies, "Go and report to John what you have heard. The blind are receiving their sight, the lame are walking, lepers are cleansed, the deaf hear, the dead rise again, and the good news is proclaimed to the poor." His reply practically says, "The works that I am doing are my witness." What is so amazing about Jesus is that not only could he use words to evangelize and cure persons - He could actually "back-it-up." Jesus Christ is the only major religious figure who could not only lay down His life, but also take it up again on His own power. While it is true that over the centuries, thousands have given their lives for a cause, Jesus is different because only He can take up His life again after having laid it down. As John's disciples withdraw with the answer, Jesus asks a simple question, "What did you go out to the desert to see?" We can re-phrase the question for an audience in 2004, "What did you enter Advent 2004 to see?" 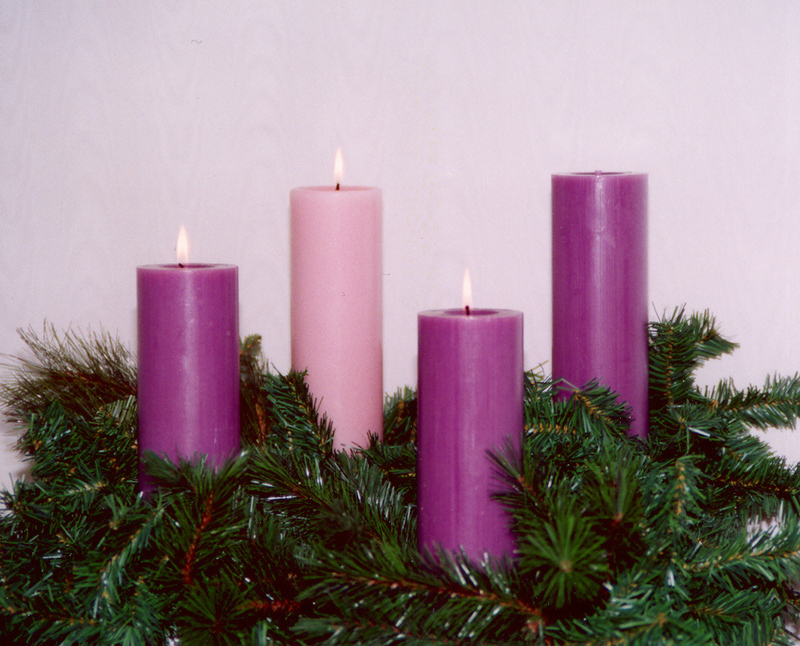 In other words, the question asks us to consider if we are really preparing for Advent correctly. Is our zeal for shopping and decorating at least matched by our zeal for spiritual preparation and prayer? Have we allowed the first two weeks of Advent to slip-by without any real progress in the interior life? If so, it's not too late - there is hope - as much hope as Christ gives us in the Gospel when He assures us that the least in the Kingdom of Heaven is greater than John the Baptist. We make ourselves the least in the kingdom when we are humble. The sure way to make ourselves humble and vulnerable like the Christ -child we adore on December 25 is by making a thorough examination of conscience and a good confession. The best gift we can make to Jesus is a heart that is contrite and firm in our resolution not to sin again. Christ doesn't need our presents. In fact, we don't really need most of the gifts that we receive at this time of year. However, Christ does want our heart and He doesn't like to share. If Advent is passing-us-by, let us rededicate ourselves today to the mission of John the Baptist - to make straight the way of the Lord in our hearts so that when we leave the Confessional, cleansed of our sins, we may echo the words of Isaiah in the first reading, Those whom the Lord has ransomed will return and enter Zion singing, crowned with everlasting joy; they will meet with joy and gladness, sorrow and morning will flee.